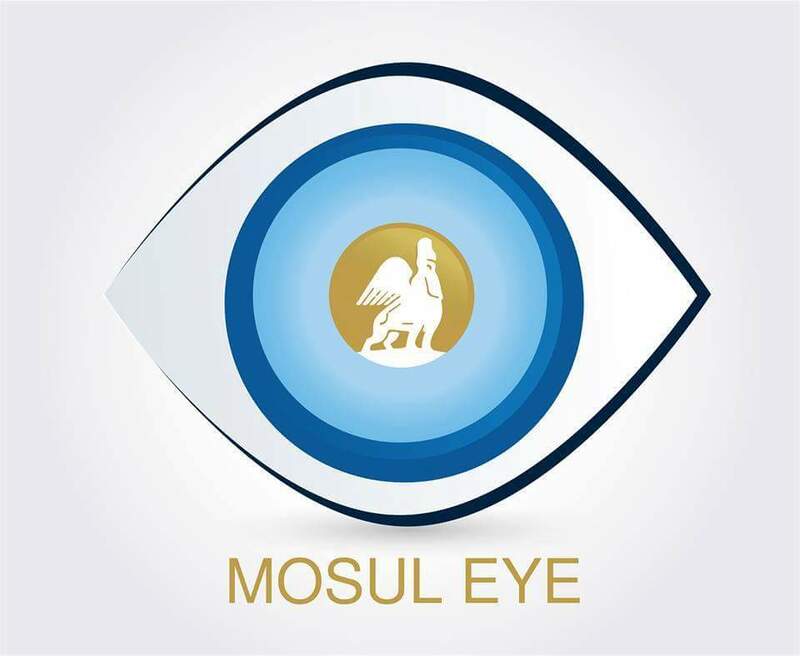 1- Today, Mosul has entered the atmosphere of the war. The bombardment is continuous on many areas of the city, specifically the southern and northeastern outskirts of the city. Many civilian casualties were reported due to the bombing. 2- ISIL has seized many SIM cards, and those who successfully managed to hide them, fear to use them. 3- ISIL has booby-trapped all bridges in Mosul with explosives and the fifth bridge with car bombs under it. The third bridge is ramshackle because tge weakness in its foundations and showing large cracks on it. Alhurriya bridge has already been damaged as it was bombed lately. 4- ISIL executed 23 prisoners this morning. 5- We believe that there are prisoners held inside Ibn Sina and Al-Jamhouri hospitals. Several Yazidi girls are among the captives. 6- ISIL members are spread on the streets, in cars equipped with heavy armament. Most of those fighters are teenagers. 7- There is no building left standing in Mosul. What was not targeted by the coalition, ISIL bombed it. 8- The fires at Almishraq sulfur field sent a clear message to the Mosulis: ISIL will not spare the city and its inhabitants for its defence. 9- ISIL gave a very clear meesage this morning, “Who is not with us is against us”, said one of ISIL leaders at Bab Altob, “and anyone trues to backup the liberating forces is targeted”. 10- ISIL tells people through mosques that the liberating forces is here to kill the Mosulis and to “enslave” their women. 11- People fear this war and the uncertainty of it and what happens after it very much. 12- Many are not willing to leave their homes even if the battle blasts through their streets. What happened in Kirkuk sent a message to the mosulis that fleeing the city means the worst case scenario. 13- Just we have assured in the past few days, ISIL has no intentions to leave the city, and will be fighting to their last breath over leaving the city. That means they will use the civilians as human shields, which already happening now. ISIL is fortified among the innocent civilians. 14- Many ISIL families already left Mosul. Only the fighters are left in the city and the number of foreign fighters is on the rise. 15- The city streets are almost closed after setting up concrete barricades on the inner roads and highways in the city. 16- After liberaring Mosul and annihilated, nothing will remain in the city but rubble. The city now is in ruins already. This is a very informative and education blog post. I will be following your blog regularly. Thank you for taking the time to share this with the world. I just stumbled upon your blog and wanted to let you know that I appreciate your brave work. As a European citizen who tries to follow and understand this war and all its geopolitical implications from afar, all the different foreign and regional powers with vested interests and how their decisions affect the Iraqi or Syrian people, I’m always interested in independent local bloggers so I can hopefully learn about the situation firsthand and also compare these reports to the press coverage of the massmedia and alternative media which I’m following. Just went trough your last couple postings which are very interesting to read, especially your entry about the nature of Mosul and how the inhabitants perceive themselves and their city compared to the villages around them. If I understand you correctly then you’re saying that Mosul respectively one of the last “urbanization fortresses” in Iraq as you put it represents some kind of counterpole to the ongoing sectarianism or the efforts of fanatics (be it Sunni or Shia) to install a theocracy which would make a pluralistic society not only impossible but also ensure that religious-based conflicts would steadily escalate. Just as a sidenote: You stated that Mosul is being presented to the world as a pure tribal Sunni city. Now I assume you refer to American massmedia here but as far as Western Europe goes there are quite a few solid and reliable media outlets who pointed out that Sunnis, Shia, Christians, Yazidi and other non-Muslim minority groups coexisted peacefully with one another in Mosul, at least for the most part. Also that there exists (or sadly existed one might say now) a very old Christian tradition in Mosul, home to archbishops of the Syrian Orthodox and Catholic Church or the Diocese of the Armenian Apostolic Church and seminaries where priests came to study. I have a question regarding 12) and 15): So “officially” it is not possible to leave the city. I mean if you’d ask ISIL members you’d face serious reprisals? Are there instances of peole wanting to leave who bribe guards successfully? Or would one be forced to take the risk trying to sneak out? Obviously I have no idea about the nature of the terrain at the city outskirts and how tight the security net is installed, also I wondered about informants. ISIL has seized many SIM cards, and those who successfully managed to hide them, fear to use them.?? Technically speaking, should this be the basics of war practice matter and very easy work around when doing war, either disconnect the network, or using jamming to stop any communication network on enemy side? Any info how many ISIS personal in the city? ISIL members are spread on the streets, in cars equipped with heavy armament. Most of those fighters are teenagers. Why Drones not in use to target those ” ISIL members in cars equipped with heavy armament” you all know those drone very active in this sort of war and US using it in Afghanistan, Pakistan, Yemen , and Africa targeting terrorists, .it took five second to launch rockets from drones remotely by those very skilled ground pilots in LA to kill the terrorists? Looking to News its very odd Iraqi troops/Army not approach/ moving to the city on main road, instead they using unknown direction , in fact surrounding city should be first task that to stop any aid, or flee of terrorists from the war zone.